The big news on the mountaintop removal front just keeps coming (see recent posts here and here): today, our friends at Appalachian Voices report that two U.S. senators from coal-producing states introduced bipartisan legislation yesterday to protect Appalachian streams, mountains and communities from the devastating impacts of mountaintop removal coal mining. According to a recent press release, Senators Benjamin Cardin (D-MD) and Lamar Alexander (R-TN, pictured at right) introduced the Appalachia Restoration Act (S.696), which would amend the Clean Water Act to prevent the dumping of toxic mining waste from mountaintop removal coal mining into headwater streams and rivers. As incongruous as it seems, this practice of dumping the debris from entire decapitated mountains onto valleys, streams and watersheds (see image below) is commonly allowed under current (lax) interpretations of the Clean Water Act. "It is not necessary to destroy our mountaintops in order to have enough coal," said Senator Alexander. "Millions of tourists spend tens of millions of dollars in Tennessee every year to enjoy the natural beauty of our mountains-a beauty that, for me, and I believe for most Tennesseans, makes us proud to live [there]." Mountaintop removal coal mining is an extreme form of surface mining where explosives are used to blast up to 1000 feet of mountaintop in order to reach thin seams of coal. The remaining rubble, or overburden-which contains toxic heavy metals-is dumped into adjacent valleys, contaminating headwater streams where drinking water supplies originate for millions of Americans. More than 1200 miles of streams and over 500 mountains in the central and southern Appalachians have been devastated due to mountaintop removal. "My goal is to put a stop to one of the most destructive mining practices that has already destroyed some of America's most beautiful and ecologically significant regions," said Senator Cardin, Chairman of the Water and Wildlife Subcommittee of the Committee on Environment and Public Works. "This legislation will put a stop to the smothering of our nation's streams and water systems and will restore the Clean Water Act to its original intent." Like the Clean Water Protection Act, pending in the U.S. House, the Appalachian Restoration Act would overturn the Bush administration’s changes to the CWA fill rule. But, this bill is much more narrow — it would not affect slurry impoundments, for example. According to AppVoices, a number of recent studies, such as one by the Appalachian Regional Commission, report on the tremendous potential for employment growth in green jobs sectors, while employment in coal has been on a downward trajectory for decades. 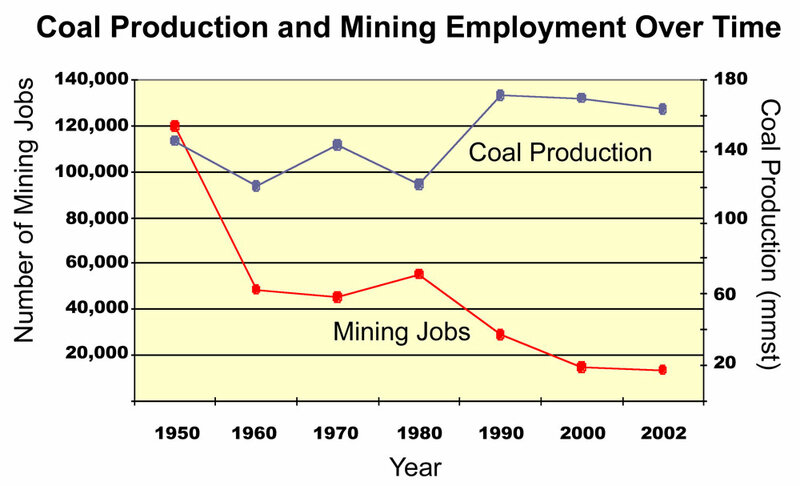 In West Virginia alone, coal mining once provided over 120,000 jobs, but that number has dropped to less than 20,000, a precipitous decline in employment driven in part by the replacement of traditional underground mining jobs with explosives-intensive and heavy-equipment-reliant mountaintop removal mining practices. "This is not an either/or choice, it's about saving the environment and creating new jobs," said Dr. Matthew Wasson, Director of Programs at the environmental non-profit group Appalachian Voices. "Mountaintop removal does the same thing to our economy that it does to our mountains. Ending mountaintop removal will allow sustainable, long term economic growth to flourish in Appalachia." According to U.S. Census Bureau data, counties with a high concentration of mountaintop removal mines are some of the most impoverished in the United States. 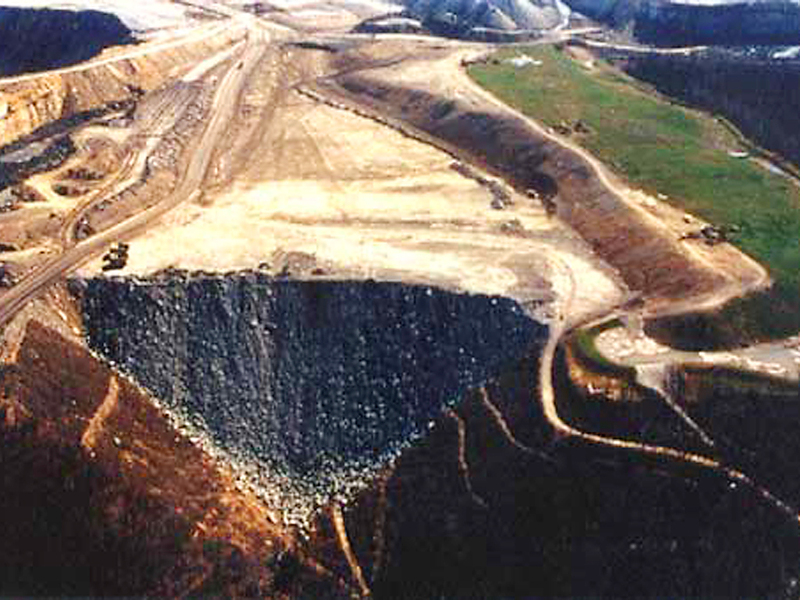 (See recent post, "Mountaintop Removal Blow-Back" for more on jobs and mountaintop removal mining). To learn more about the impacts of mountaintop removal coal mining (and to take action), visit ILoveMountains.org.